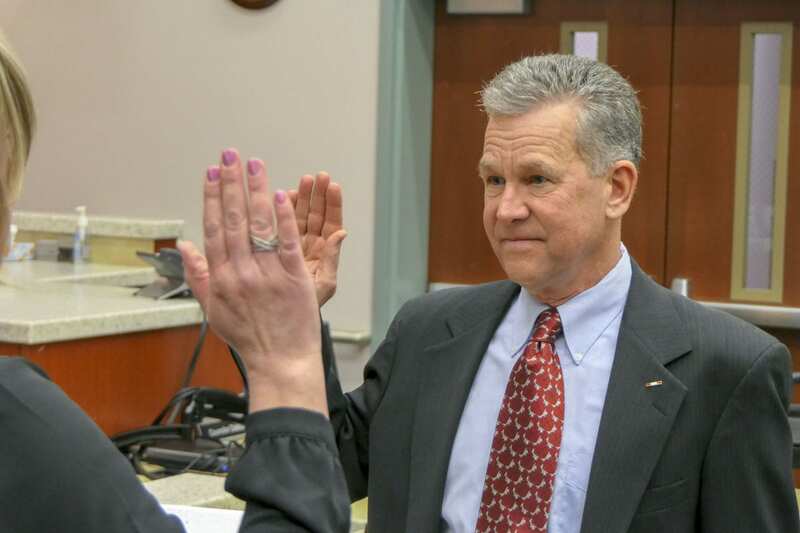 CLARK COUNTY — After hearing from all three candidates to replace Eileen Quiring in the District 4 seat on Clark County Council, the unanimous vote went to the newcomer. Gary Medvigy moved to Clark County in 2016 after what he described as a broad search for a place he could feel more at home. Medvigy says he and his wife chose Camas over McMinnville, Ore. due, in part, to the natural beauty of the area, but also the political climate. “We were looking for a more independent kind of political mix, and I think Clark County is that,” says Medvigy, who most recently lived in Sonoma County, California. Medvigy was one of three people, out of 11 candidates, nominated for the position by the county GOP’s precinct committee officers. 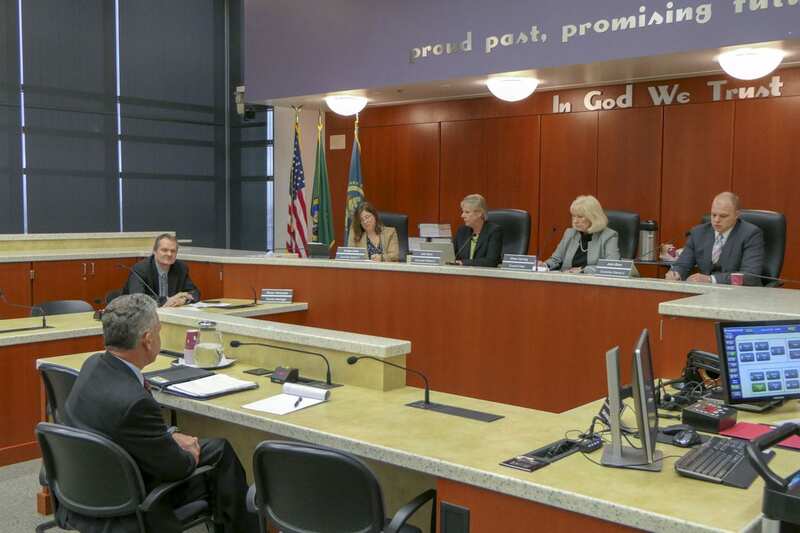 The others facing questions from the council on Tuesday were John Ley, a transportation activist from Camas, and Brook Pell, chief operating officer for a family-owned construction company. Pell has already announced plans to run for the District 4 seat later this year. The three had similar responses to the seven questions posed, but the council felt Medvigy demonstrated the most nuanced grasp of the issues facing the county. “I have a broad breadth of experience working with a lot of different kinds of people, and I will just tell you that I have the reputation of getting things done,” Medvigy said, noting that he did so through collaborating with others. “We used to say in the Army, ‘one team, one fight,’ and this would be one team,” he said in his closing statement. Medvigy did raise some eyebrows with his response to the question of how the council, as the Board of Health, should address the current measles outbreak. While he said he felt the board was doing a perfect job of responding to the epidemic, through the issuance of a public health emergency and notifications to the public, Medvigy said he felt the county could take a more proactive approach to ensure people are vaccinated against the disease, even using the words “force them” at one point. That prompted a follow-up question from Council Chair Eileen Quiring. But he did say he would like to take a closer look at whether certain professions could have proof of immunity to measles as a hiring requirement, while respecting people who have religious objections to the vaccine. Medvigy also expressed some skepticism about how the county balances its budget, in light of the growing list of infrastructure needs throughout the county. Medvigy said he believes the county needs to take a more holistic approach to budgeting, by investing in things like re-entry and diversion programs at the county jail, which he believes could help bring down the cost of enforcement. Medvigy also said he believes Clark County needs to more closely examine state mandated programs, which often fall on the county to fund. One example being the public defender program, which is mandated at a state level, but unfunded. 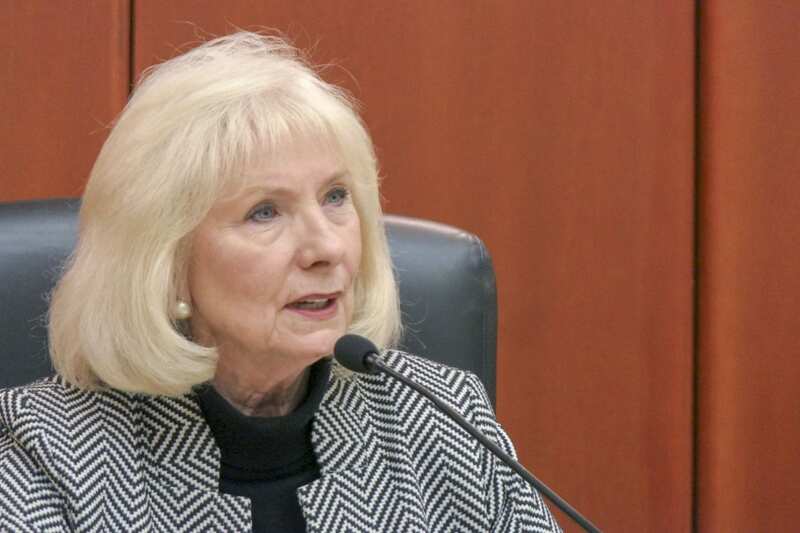 “I would hope that you, as a council, would enlist the strength of the other county councilors statewide to try to resolve those funding shortfalls,” said Medvigy. On transportation, Medvigy said he remains unconvinced that replacing the I-5 Bridge needs to be the top priority in the region. On District 4 specifically, which is the largest and most rural of the four county districts, Medvigy says he hopes to be an advocate for some of the outlying areas. He related how, on recent hiking trips to Mt. St. Helens, he had experienced some of the unique problems facing that area of the county. Though the question wasn’t directly asked, Medvigy took time to say he’s in favor of industrial development along part of the Chelatchie Prairie Rail line, assuming it can be done in such a way as to not post a risk to people living in the area, or reducing their quality of life. Ultimately Medvigy describes himself as a financial conservative, who had the need for truly balanced budgets drilled into him during his time in the military. While he’s new to the area, Medvigy says he’s been paying close attention to the local issues and discussing them with his wife. He says he promised the county GOP, and the council, that he would give his best. “I’ll have to keep cramming, roll up my sleeves, and work tomorrow,” he says. 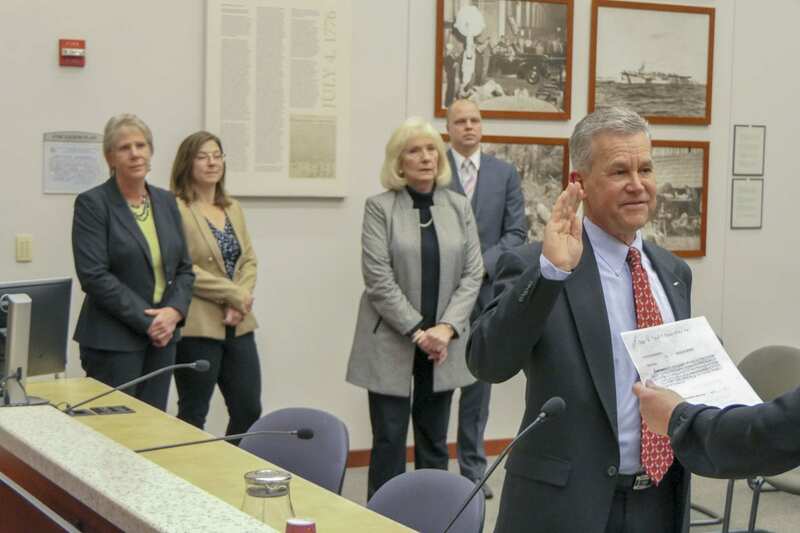 Voters will have the chance to vote for their choice to fill the District 4 seat later this year, and then again in 2020 when Quiring’s original term is officially up.